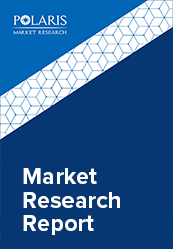 Global electric powertrain market is anticipated to grow at a CAGR of 35.1% between 2018 and 2026. The new trend towards a shift from conventional internal combustion engines to electric vehicles as an effort for developing a sustainable future will increase demand for electric powertrain in the near future. The environmentally minded automotive technologies are anticipated to shift from the conventional gasoline engines and evolve towards electric powertrain technologies/systems making use of inverters and electric motors such as plug-in hybrids, hybrid electric, fuel cell electric and electric vehicles. Development of environmentally sound and powerful powertrain with innovative E-performance technologies is the primary technologies the industry players have been focusing on in the present industry scenario. Compact, lightweight and high efficiency e-powertrain power systems can be used as a direct alternative to internal combustion engines and these produces extremely low vibrations and generates instant torque. E-powertrain deliver smooth, high-quality and responsive drives. Powertrain electrification continues to be a significantly growing trend in automobile applications. E-powertrain has numerous advantages over traditional hydraulic and mechanical powertrains, however there are still several serious challenges to overcome and to be a completely successful product line and as a direct alternative for the traditional ones in the future. Regardless of the benefits of the e-powertrains, electrification has been noticeably slower than anticipated owing to several technological issues, policies and market drivers. Successful technological developments and modifications especially including the lithium based battery technology have overcome most of the technological challenges. Currently designed diesel electric, full electric and hybrid powertrains offer similar performance as the conventional ones and are inherently emission free and more energy efficient in their operations. The global electric powertrain industry is segmented based on powertrain (product) type, vehicle types and regional market. Powertrain category is further segmented into Battery Electric Vehicle (BEV) Powertrain, Mild Hybrid Powertrain, Series Hybrid Powertrain, Parallel Hybrid Powertrain, and Series-Parallel Hybrid Powertrains. The vehicle segment is divided into light vehicles, cars and light trucks. Battery electric vehicle are the largest powertrain segment in the present industry scenario in terms of units sold. BEV are powered entirely powered by electric energy typically a large battery pack and a large electric motor. Depending on the type of transformation, the use of gearbox, clutch, differential and fixed gearing, number of motors and battery packs, the BEV types have different variations. On account of decline in the battery prices and low or zero harmful emissions in the environment, demand of BEV types are the highest in the current industry space. Plug in hybrid electric powertrains are anticipated to be the fastest growing segment for the next eight years. This type is a HEV that can be recharges from or plugged-in from wall electricity. Compared to the other types, PHEV are the most convenient in the current industry space considered the current infrastructure for EV. Asia Pacific was the largest regional market in 2017. Asia is the most popular region for the growth of electronic vehicles with China as the most significant global player, and with this demand for e-powertrains has also increased in the region. Other Asian countries such as South Korea and Japan along with China have been major battery providers. Increase demand from India for the electric vehicles has also contributed towards the growth of this regional powertrain market. However, the global industry is also subjected to some restraints such as high product price. Electric vehicles are highly priced and are not affordable by each consumer, especially in the countries with lower economic growth. Moreover, the maintenance of the electric powertrains is costly and requires frequent charging and changing of batteries. Some battery related issues also include lead emissions from few batteries and the energy storage systems. Some of the major players in the industry include AVL LIST GmbH, ARC CORE, ALTe Technologies, IET S.p.A., ATS Automation Tooling Systems Inc., EptDyn, TM4, Jayem Automotives, BMW Motorrad International, and AllCell Technologies LLC.